The large 3M adhesive pad is required to achieve the best iPhone mount stability, over 80 pounds of holding power. Will stick to many smooth surfaces for the easiest installation. 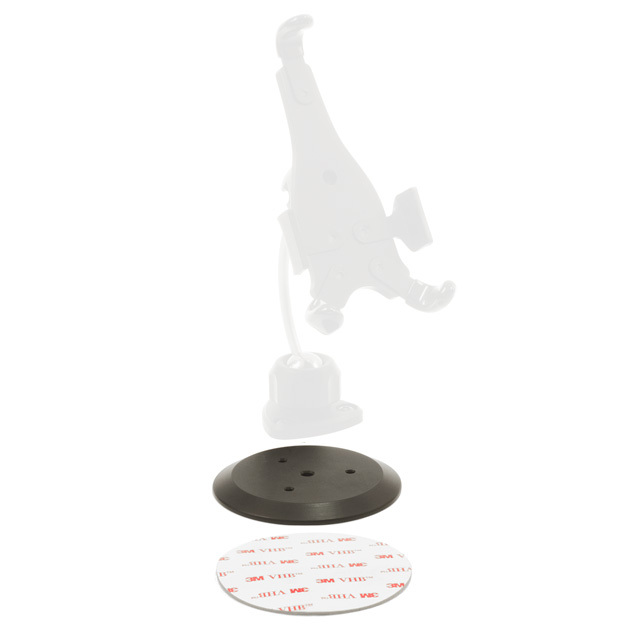 This optional kit includes a 3" round base and a semi-permanent adhesive pad that is replaceable and will not leave residue, should removal be desired. Proudly made in Connecticut, USA from, machined polymer materials and 3M materials.